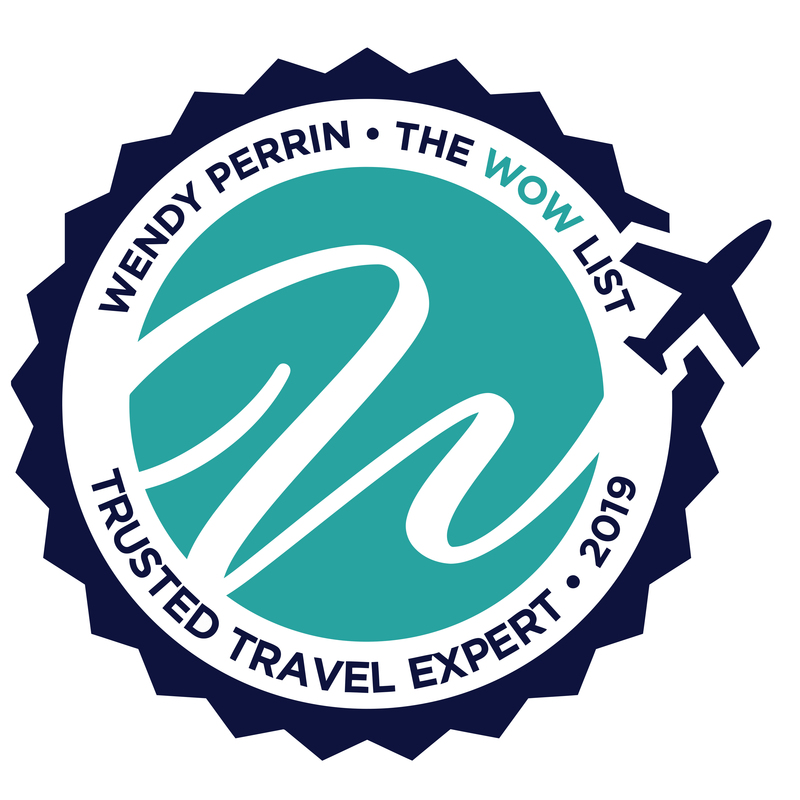 Sandy Ferguson is on Wendy’s WOW List of Trusted Travel Experts for his expertise and connections in Southeast Asia including Cambodia, Laos, Thailand, and Vietnam. The reviews below are from real travelers who’ve taken trips that were arranged by Sandy and monitored by Wendy. Don’t miss Sandy’s Insider’s Guides to Thailand, Southeast Asia and Bangkok. Sandy Ferguson and his team have shown me exactly how to do it perfectly! I love to travel, and over the past several years have used a number of different specialists to help plan and execute my trips. Thus, I have experienced some trips that were great, and some not as much, sometimes due to the specialist. They simply can make or break your trip for many different reasons; from choosing guides, understanding your wishes, keeping in touch during the trip, and having the ability to be flexible and of assistance. I can say, without the slightest bit of hesitation, that Sandy Ferguson and his team have shown me exactly how to do it perfectly! From the beginning, when I spent time on the phone with Sandy discussing what I was looking for in a trip to Vietnam and Cambodia, to suggested itineraries, to confirming details, to excellent hosts (guides), to the continuing reminders that everything was flexible (which was very important to me as I like to be flexible and have encountered guides that do everything in a “cookie-cutter” manner), and, at one point completely changing my final day in Vietnam, Sandy’s team delivered. A special kudos to Christina, the specialist based in the US. She responded professionally and promptly to all of my requests, and was always full of cheer and great information. My trip took me to Hanoi, Ha Long Bay, Hue, Hoi An, Siem Reap, and then Saigon. Everything and everyone were magical; the trip was absolutely amazing, all due to Sandy’s group. I have already decided to book another trip, likely back to Cambodia, and then on to Laos, Thailand, and Burma sometime in 2020. Needless to say, I will go through Sandy and his team! I cannot reiterate how excellent this team is, and how wonderful they are to create the perfect trip. Thank you, thank you, thank you! The trip met our every expectation and we were exhausted, but energized at the same time! From the first exploratory conversation with Sandy Ferguson, my husband and I had a feeling of his caring, interest, knowledge and love for the area of Southeast Asia. He took the time to discuss the countries we were interested in visiting and exploring and outlined different options, including Vietnam, Cambodia and Hong Kong. During the decision-making process until we finalized our trip, Sandy was helpful and asked numerous questions regarding our likes and dislikes which enabled him to coordinate a trip resulting in the types of activities which reflected the core of our discussions. An example included our enjoyment of being on the water and boats; Sandy scheduled us on a specific tour by boat vs. by car, which provided not only a scenic route but avoided a long, tedious car ride in rush hour traffic. We met people on an excursion, who we ran into during our trip, as they had a similar itinerary to ours, which differed in arrival/departure dates. They were able to offer their opinions regarding stops, activities and options, such as the one I outlined above. Sandy paired us with wonderful Hosts who had a vast knowledge of their specific city along with a good knowledge of other areas of the country. Traveling between countries was seamless; all arrangements were confirmed and the Hosts were all well versed in the airlines’ requirements to take the burden away from us. The multiple suggestions regarding tipping, clothing, packing, etc. were extremely helpful. The trip met our every expectation and we were exhausted, but energized at the same time! In addressing the second question, I would stress that when initially discussing preferences for travel, including physical activities, water activities, biking, walking, etc. that the travelers be as specific as possible. As I mentioned, we discovered that other travelers with Sandy’s company who were on a similar tour had a different travel experience, by car and not by boat, which they mentioned changed their feeling for the day. In one particular city, we felt that we had an unfortunate experience where a laundry vendor who was recommended by the Host, used a scale which doubled the weight of the laundry. Both to our eye and using the scale in our hotel room, we felt that we were overcharged by double the amount of the laundry. Based upon discussion with the host, we felt that he may have been duplicitous, but we have no proof, but left us with an uneasy feeling. Thank you and we will be contacting you in the future. The ceremony and dinner at the home of two of our hosts, Paan and Ek, was very special and memorable. We had a specific objective for this trip. We had been to Vietnam, Cambodia, and Bangkok some years ago and seen what are probably the highlights of Southeast Asia. We wanted to return to the area, but go only to places where we had not already been. So by definition we were going to end up with a trip that omitted the blockbuster attractions in the area. We also told Sandy that we had heard that beaches in southern Thailand had gotten so crowded that we did not want to go there. Sandy spoke with us, understood our objectives and the constraints we were imposing, and came up with an itinerary and hosts (guides) that met our objectives. We ended up going to Chiang Mai and vicinity, Chiang Rai and the Golden Triangle, a two-day boat trip down the Mekong River, Luang Prabang, southern Laos (Champasak, 4,000 Islands, and Bolaven Plateau), and eastern Thailand near Khongjiam. The four hosts were knowledgeable, and made interesting additions to Sandy’s itinerary, such as a cooking class near Chiang Mai, the cave near Chiang Rai where boys were stuck and miraculously rescued in 2018 (which amazingly has already become a big visitor attraction with a small museum), and the beautiful modern Sirinthorn Waradam meditation temple in eastern Thailand. And the ceremony and dinner at the home of two of our hosts, Paan and Ek, was very special and memorable. After we booked the trip, one of us had some health issues, and Sandy and the hosts went out of their way to accommodate our new constraints. We were well taken care of, and we saw and learned a lot. Our special interests were planned for in detail. Sandy and his team were knowledgeable, interested, friendly and most importantly, flexible in the planning of the trip. The execution was precise. Our special interests were planned for in detail. The logistics went without a hitch. When there was a minor issue toward the beginning, they responded quickly so there was no recurrence. I would use Sandy’s group again and have already recommended them to friends. This is what makes Sandy different. Our travels started in northern Thailand (Chiang Mai & Chiang Rai), down the Mekong river to Luang Prabang Laos, Angkor Wat, and ending in Bangkok. It was flawlessly arranged and accomplished. Sandy has many great reviews and deserves them. Sandy and the tour guides know each other. He has personally picked them. This is what makes Sandy different. We have never had guides better than the ones from this trip. What makes them good are the following qualities. Beyond being very knowledgeable, which is a basic expectation, they all love their country and love their job. They also had dynamic friendly personalities. And finally, they are not locked into a set itinerary. Adjustments were made for the type of interactions that we were seeking. For example, driving to a Buddhist royal temple in Chiang Mai to participate in an evening chanting and prayer recession that was occurring because it was a full moon. Walking out on a rice patty to talk to the farmers. Stopping at a school in the country side in Laos to sing with the children. None of these events were on the set itinerary. But Sandy encourages his guides to add and adjust things on the ground. The special events Sandy knew about and directed us towards were unforgettable. We just got back from a 2.5 week trip to Vietnam and Cambodia arranged by Sandy. The short of it is the trip was wonderful and we highly recommend Sandy and his team. To begin with, the hotels and boat Sandy picked were fabulous. Particular favorites were the Metropole in Hanoi, the Antara in Hoi An and the Au Cu cruise. The guides and drivers Sandy arranged for us in each of our destinations were wonderful — knowledgable, helpful and flexible. We learned so much about local culture and religion, current and historical. And the special events Sandy knew about and directed us towards were unforgettable, lunch and meditation in a Zen garden, a visit to an orphanage, a private dinner at a secluded, extraordinary place in Siam Reap, a Vespa tour, sunrise at Angkor Wat, and the list goes on. The trip was not to be missed, and Sandy and his team are the ones to arrange it for you. We had dinner at her home with her aunties and uncles. Sandy Ferguson was outstanding. We told him we wanted to go to Thailand with our 19-year old son and that we wanted to visit our former exchange student in Bangkok and that young man join us in Phuket. Sandy made everything run seamlessly. The guides he had for us were AMAZING and our guide in Bangkok, Pablo, was the epitome of a diplomat. He showed us amazing things while also guiding our exchange student and his non-English speaking parents. The elephants and the cooking class in Chiang Mai were remarkable and our guide there, Nikki, was terrific. The resort in Phuket was gorgeous! The highlight of the trip though may have been Luang Prabang, Laos, a place we didn’t even know we wanted to go! Our guide Paan was remarkable. She was so open and she shared her life with us. We had dinner at her home with her aunties and uncles. The food in Laos was superb. The Rosewood property was more than we could have hoped for in a hotel. We enjoyed every moment. I highly recommend Sandy Ferguson. We plan to use him in the future to go back to Asia to visit Cambodia and Vietnam. Hardly a day went by when we didn't have a mind-blowing experience or two. We just returned from a three-week trip to northern Thailand, Laos and Viet Nam. Reading the comments from Sandy Ferguson’s previous clients, all we can see is…AMEN! Never in our lives have we enjoyed such an enriching trip. Neither my wife nor I had been to Southeast Asia, and given the language and geographical challenges, having an experienced planner and local guides was essential. The six guides who accompanied us were universally knowledgable, easygoing, responsible and eager to share their insights. Some had worked with “Uncle Sandy” for a decade or more. Given the region’s history, it was fascinating to hear about the guides’ family stories and their perspective on the Viet Nam War. They all seemed to speak candidly, they held diverse opinions, and we were given historic context we never would have received otherwise. By learning about the region’s history, we gained new insights into our own country’s past. Given the richness of Thai, Lao and Vietnamese beauty, culture, food and history, it is true Sandy has a lot of material to work with. That said, he makes the most of things. He put us into situations – such as a daylong visit to an elephant refuge or a nighttime Vespa ride through the insane streets of Ho Chi Minh City – we almost certainly would not have pursued on our own. His hotel choices were spot on. We visited Lao and Thai villages , and met families who welcomed us into their homes, cooked for us, and shared their stories. We witnessed extreme poverty in some cases, and were humbled by the grace and warmth of our hosts. We were not expecting to encounter quite so many Buddhist temples, but the reality is the Buddhist religion is very strong in the region, and our interactions were informative and moving. In Chang Mai and Luong Probang, we bowed to the monks, gave alms, and kneeled before the Buddhas. This is not something that comes naturally for me. Being open to the culture took me out of my comfort zone, and was an eye and heart-opener. This feeling of connectedness contrasts with the emotional distance one often feels when visiting the giant religious monuments in other parts of the world. The guides helped us navigate through the many chaotic markets. They gave us space when we needed it, and were there for us virtually any time of day or night. Sandy worked us pretty hard – hardly .a day went by when we didn’t have a mind-blowing experience or two. Soon after our return, I spoke to a friend had visited Viet Nam several years ago. As we compared notes, it began to sink in that we had very different experiences. We both enjoyed our trips, but I found myself holding back, because I simply didn’t want to gloat. Thank you, Sandy, for helping make our trip so special. Cambodia and Vietnam. November 2018. The second time we have used Sandy (the first was around 2011). This trip we contacted Sandy to tack on a 10-day visit to Vietnam and the temples in Cambodia following a stop in China to visit our son. I sent Sandy a proposed itinerary and he very politely responded with “are you sure you want to spend that many days in these locations? Might I suggest these alternatives?” Of course, his alternatives were far superior to my original plan. That is what makes a great travel agent. They take the time to understand what you want and push back when they have better ideas than the ones you come up with. Great experience working with Sandy and he connected us with great guides in each of the cities we visited. 1) Pace yourself at the temple complexes around Angkor Wat. Sandy had us on a two-ish temple a day pace with a midday break to enjoy the hotel. Great way to avoid temple fatigue and actually appreciate what you are seeing. 2) I had heard Ha Long Bay was crowded and overrated. Sandy convinced me to put it on the itinerary, booked us on the boat GINGER, and we had a spectacular time, one of the highlights of the trip. 3) TripAdvisor highly rated the AO show at the Saigon Opera House. I booked it on my own one of our nights in town. If you have ever seen a Cirque de Soleil, you will be underwhelmed. 4) Conversely, Sandy set us up with a Vespa tour of Saigon which I was skeptical of. What a wonderful experience. Don’t miss this if you visit Saigon. It will really help you understand the rhythm and dynamics of the city. This trip was planned flawlessly. It had a variety of activities and the guides were very good. We very much appreciated having lunch provided each day and the flexibility of the guides to also go out with us to the night markets. The hotels had all our requests in place and we were given beautiful rooms. I would highly recommend Sandy Ferguson. Sandy and his team did a fantastic job taking care of every little detail of our almost one month long trip to Thailand, Laos, and Cambodia. We stayed in small boutique hotels that were simply marvelous and the local guides made the trip great. They were always eager to meet our needs and change the itinerary at a moments notice. I’d highly recommend Sandy for any trip to Southeast Asia. Sandy Ferguson organized our first ever trip to Vietnam (3 weeks) in March 2018. Wow!! It was simply fabulous! Every detail was flawlessly arranged. Our hotels, guides, drivers, locations we visited just superb. Having Sandys guides at each location made all the difference. They were local, took us to interesting places, were fun to be with and had incredible knowledge to share. Because of our guides, we were able to have two very interesting interactions with local families who invited us into their homes. Without interpreters, it simply would not have been possible. It was one of the MANY highlights of our trip. I can’t recommend Sandy highly enough. We would use him again in a heartbeat! Sandy planned a fabulous, well-rounded trip to Vietnam and Siem Reap. It was filled with a variety of cultural and fun experiences, sights and cuisines. Our local hosts were superb. There was not a question we asked they did not know the answer to. Beyond their knowledge and efficiency, they were warm and wonderful people who looked after us and were able to satisfy our every wish. We saw places we would never have found on our own and had experiences we never, ever would have planned on our own (Vespa night in Ho Chi Minh City–so much fun!). The hotels ranged from very good to divine. All in all, an exotic trip of a lifetime. Went off without a hitch. Sandy and his team listened to what kind of trip we wanted and planned it exactly according to our interests. Every place we stayed was amazing. All the guides highly qualified and all the logistics went off without a hitch. The pre-trip communication was excellent as well. I would wholeheartedly recommend Sandy and his team. One of the best guides we ever had. Sandy did a great job planning our trip. He spent time with us on the phone ahead of time to find out what we wanted. He arranged private guides and drivers in each of the places we visited. The guides were all very good. Nikki in Chiang Mai and Chiang Rai was one of the best guides we ever had. She was very willing to switch things up as the days went on. We said we liked hiking, so on one day notice she rearranged the days itinerary to include trekking to a remote Akha village and having lunch at the trekking guides house and then hiking to a waterfall and through a tea plantation. It was a highlight of the trip. Sandy also suggested we do the Vespa Rouge tour in Saigon – which wasn’t even a part of the trip he was planning. This also was a highlight of the trip. Sandy also suggested we use Cranky Concierge for our plane flights and they were exceptional – I would use them again for any of our complicated plane reservations. Giving alms to the monks was a very interesting part of the tour – lots of Sandys recommendations were good. I really liked most of the hotels he suggested. The 147 Pillar House in Chiang Mai was special and we really liked the location and feel of the new Azarai in Luang Prabang. I’d highly recommends Sandy to others. I contacted Sandy to arrange a private tour following a week-long conference in Danang. We exchanged very informative emails and a phone call; Sandy had many suggestions for us and was happy to accommodate our keen interest in history, both French colonial, and American War. We had been to Vietnam once before so we had some idea of what we wanted, but working with Sandy definitely enhanced our options. From the moment we were picked up in Danang, all of the logistics were excellent: comfortable cars, pleasant drivers, guides; everyone was on time and at our service (even offering to help after official hours if needed). Hotels were excellent and when our hotel in Hoi An was damaged in a monsoon (before we arrived), Sandy and his team took care of it – we received an email from them explaining the situation and confirming a different hotel (that we liked very much!). b) the unique experiences we were offered that we could never have orchestrated on our own. The Zen House in Hue, a day bicycling in Hanoi (with terrific bikes and a professional bicycle coach as a guide), and private meetings with two scholar-authors (Hue and Hanoi) for hours of conversation about the French colonial years, Communist government, American War and periods thereafter. While one of our guides did not meet all of our expectations (he was very kind and eager to please, but had some communication and knowledge gaps), our guide in Hanoi (Ken) was one of the best guides ever. Energetic, fun, willing to spend a lot of time talking over coffees and beers, and always pointing out something that we would have missed on our own. In summary, Vietnam is now our favorite country in Asia and we believe that’s because of the trip Sandy and his team organized for us. His local contacts and hosts in these countries are unparalleled. After an excellent experience using Sandy for our three-week trip to Vietnam early in 2017, we reached out to him again when my wife had to go to Southeast Asia at the end of Sept. on business. The plan was for me to meet her in Bangkok once her business was complete, tour the city for two days, then off to Luang Prabang, Laos. There, the local host was phenomenal, with the highlight being a dinner with the elders of her family. A great experience! The next morning was Bun Ok Pansa, the day of the October full moon and the end of the monks’ fast, which we celebrated with them by providing them alms. That evening was a night of lights and celebration. From Luang Prabang, we flew to Chiang Mai, Thailand, and spent a day with elephants (walking with, NOT riding them) and Sunday evening at the large local street market. It was a fantastic one-week trip and I would heartily recommend Sandy and his hosts for travel in Thailand, Laos, and Vietnam. His local contacts and hosts in these countries are unparalleled. Sandy Ferguson arranged a wonderful trip for my daughter and me to Bangkok, Chiang Mai, Luang Prabang, and Beijing. The arrangements and the hotels were perfect and the particular destinations, generally suggested by Sandy, were great. Our guide in Luang Prabang took us to her house for dinner with her aunts and uncles, and they performed a Buddhist ceremony that was fascinating and gave us insights into the culture. I can’t recommend Sandy Ferguson and his team highly enough. He was absolutely wonderful to work with. Everything we wanted to see (& more!) was on our itinerary. The hotels that we stayed in were top notch and the guides that he arranged for us in each city were the best that we’ve ever had! This was our first extended length trip (total of 33 days) and not once did we think that we were ready to go home early. The key is that Sandy worked with us and our budget, and listened to our interests and preferences and made sure that they were incorporated into every aspect of our trip. Having total flexibility in our itinerary was key and we worked with each of his guides to tweak the itinerary as desired or needed. When the monsoon wiped out our hotel in Hoi An, Sandy immediately booked us into a delightful alternate hotel that actually was much closer to the old town. I wish that Sandy worked in other areas of the world because we would work with him everywhere! If anyone is considering visiting Thailand, Cambodia or Vietnam I would say Sandy and his team are the ones for you! My husband and I had the trip of a lifetime that was perfectly planned and executed by Sandy and his team. We visited Thailand, Laos, and Cambodia for two weeks. The planning alone with the number of internal flights, hotel and guides was flawless. Sandy gave us so much planning material on each country before the trip so we were well versed in all three countries. We have been using Wendys Travel Advisors for ten years and Sandy had the most detailed travel pre-planning material we have ever seen and was super responsive to our many questions before the trip and also was very accessible during the trip than anyone we have used to date. That is saying a lot since we have had very good /excellent experiences with all the travel planners, however, Sandy listened to our needs and matched us perfectly to hotels, guides, etc. We loved our first guide through Thailand (Niki)-I felt we knew each other in another life! Touring Thailand was phenomenal, especially Chang Mai. 137 Pillars is a beautiful boutique hotel-Ann and her team at Pillars were nothing short of amazing. We really appreciated when Sandy acted so quickly when the Chang Rai accommodation did not work out–we were thrilled to go back to Pillars and with an upgrade! Between Nikki and I praying in three of the wats, making merit—especially Wat Phra Borommathat Doi Sthep and Chedi Luang it was an experience of a lifetime to feel that connection to the culture and Buddhism. Patara and the elephants was incredible, the night market really grew by 1000x since I last saw it at CM and was a lot of fun. We went to see how silk was made and of course, we had a shopping bonanza with Niki! We loved the view from the Golden Triangle and we wanted to see the hill tribes in Chang Rai which were almost lost in time and Niki was very flexible in taking us there since we did not pre-plan that event. I can’t even name everything we saw and we cataloged all 1,000 of our pics and 40 videos. The hall of opium was really interesting and we had a late lunch at Antara tented elephant camp and the view/ food was fantastic in the Chang Rai area. The most touching gesture was Nikki gifting us for our anniversary a set of beautiful spoons on the last day of our journey with her. She is a kind and loving person and took such good care of us-an amazing guide that fit us perfectly. Luang Prabang was nothing short of delightful and Paan was a fantastic guide and host. The Mekong cruise was stunning to the Buddha caves and to her village and the food Paan made was delicious for our boat trip. Sandys pick of Manda De Laos for our anniversary dinner was perfect. The Lao waterfalls was beautiful and fun. I knew I was serious when I got up at 5 AM and sat in the street (no chair!) and it was magical in giving alms (sticky rice) to the monks from the 12 monasteries. One of the biggest highlights of this trip to Laos was helping cook Paans family dinner at her house. Her family was nothing short of amazing in welcoming us—the food was delicious and the rice whiskey was fantastic. The dinner really got interesting after that! Paan, like Niki, was so kind and generous and she also gave us two embroidered small weaves for our anniversary. We really liked Cambodia. Siem Reap is a hopping place and the Park Hyatt was lovely. We loved Kanha, our guide or as my husband called him “KO”. He was a great guide through Angkor Wat and kept us away from all the tourists and his knowledge of AW was astonishing. Both my husband and I got up at 5am-( we think it was 5 am as we both had no clue it was so dark) and went to the Monastery on the hill before sunrise with the monks and Khana. We had a private blessing from the monks and a breakfast outside the temple as the sun was rising, An unforgettable experience. Khana also treated us to a sunset boat ride after a day of touring AW, with drinks and snacks around the AW wall which was lovely and relaxing. Khana also recommended a fantastic restaurant (Malis) where the special dish is wild black hill pigs that Cambodian farmer raise. Fabulous food!!! He was a great host, took amazing pics for us and of us and even taught us how to use the pano function on our iPhone correctly. By the time we got to Bangkok we were greeted by our 4th guide Pablo, who was great and we wished we could have spent more time with him but we were only in Bangkok for 2 nights. The Mandarin Oriental is a stunning hotel and was right on the river. Probably one of the 10 best hotels we have stayed at and the staff was outstanding. Pablo took us on a boat ride on the river which was really interesting to the royal palace. My husband wanted to go to the Muay Thai fights which are the national sport of Thailand. I was “meh” on the Muay Thai, but Sandy recommended we go and I am glad we did. It was a lot of fun and the crowd in the stadium who were betting on each fighter was hilarious. Pablo was explaining the whole nature of the rituals and sport to us which was very helpful. All in all, the planning, care, and execution was superb, and a life experience that we will cherish forever. We met so many interesting people from all over the world and did not watch the news back in the US which was liberating because we were so busy having fun. We are hoping to go back to other parts of Thailand and visit Vietnam once we accumulate enough air miles with Sandy! As an organized person who has a lot of attitude about where I go/stay on vacations, I don’t want to spend precious time and $ on travel mistakes. I also love for someone else to do the organizing. I’ve found My Man with Sandy Ferguson. The trip we just went on with Sandy (Nov 2017) to Vietnam and Cambodia was flawless, and my saying that is rare. I gave Sandy our time constraints and “must do’s,” including breaking off from his plan for 3 days for a Mekong River boat trip, and he hit all of our goals plus more with a quality and cohesion that I couldn’t have managed. He knows the cultures and the expertise of the guides so that flexibility and education are built into every day. One guide even stayed overnight in the area when we were on another boat in Ha Long Bay just to make sure she didn’t run into weather or traffic problems retrieving us when we returned. Our group of four couldn’t even choose our “most favorite thing” at the end of our trip because there were too many winners. If you’re looking for a seamless, high quality vacation that gets you away from the hordes and gives you insights and experiences into the culture you’re visiting, Sandy’s your man. Every detail was taken care of. The trip was spectacular from start to finish – from guides to accommodations to making last minute changes in our itinerary to meet our whims. We had the trip of a lifetime. My daughter and I traveled to Thailand, Laos, and Cambodia in May, 2017. Sandy Ferguson and his team did a fantastic job to make our trip memorable. They know all the best spots for dining and sightseeing so you don’t waste your time waiting in lines or viewing something that was not worthwhile. They also provided great experiences which went beyond traditional sightseeing to include visits with monks, Buddhist blessing ceremonies and a family dinner which included helping in the kitchen. We will never forget this amazing vacation thanks to Sandy. My girlfriend and I just returned from 9 nights across Thailand, Laos, and Cambodia under Sandy’s guidance. Trip of a lifetime. As someone who has a tough time outsourcing anything, it was tough for me/us to put this “big” trip in the hands of someone else – but what Sandy put together was nothing short of great. The best part about working with an agent like Sandy are the unique activities that you get to experience ONLY because you worked with them. Makes it well worth it. Our guides were also incredible and made the trip that much more cultural and authentic. Living in Vietnam for part of the year, Sandy Ferguson has an excellent knowledge of the country and was very helpful in narrowing our focus in the planning our 3-week trip. His in-country hosts were all fantastic. Do Chu Hung in Hanoi has an encyclopedic knowledge the area. He easily struck up conversations with local residents which led to very interesting conversations. Tran Day Ngoc, who was with us for Hue, Hoi An and Da Nang is very charming and knowledgeable. Duong Huynh Hoai Chau (“Buffalo”), also very knowledgeable, went the extra step to help us locate the location of the old Victoria Hotel in Ho Chi Minh City. My late father was in that hotel in 1966 when a truck bomb exploded outside, collapsing the hotel wall. The build still stands and is now a dormitory. On the last day of our trip, Sandy had added a private art tour. We thought it was going to be at the Fine Arts Museum, but instead, we went through several private artists and collectors highlighting the history of Vietnamese art. Our travel time to Vietnam was limited (11 days, including fly time from the East Coast), but Sandy put together an itinerary that allowed us to experience the best that the country had to offer. From the traditions of the Old Quarter in Hanoi to the sleekness of Ho Chi Minh City, with beautiful countryside vistas and relaxing beach time in between, our trip was amazing! In addition to being extremely knowledgeable, the local guides he lined up were warm and personable and gave us a personal insight into Vietnamese culture. We highly recommend working with Sandy and his team! During the planning process, Sandy listened to what was important to us when travelling, and was able to provide important feedback based on his experiences in SE Asia. Our trip to Thailand, Laos and Cambodia was exactly what we wanted. His guides are some of the best we have had, and we have traveled all over the world. They were prompt, courteous, attentive and extremely knowledgeable. We really appreciated their flexibility as well! We were able to change the plan based on our energy levels, etc. His guides in Laos brought us to their home for dinner ( we assisted with the meal prep of local Laos dishes) and afterwards many of their family members joined us to give us a wonderful and very memorable Buddhist blessing ceremony. It was a highlight! I will definitely use Sandy and his team in the future when we travel to SE Asia! I would highly recommend Sandy and Asia Desk to other travelers! We just returned from a 6 week introduction to Southeast Asia – Vietnam, Cambodia, Laos, Northern Thailand and Myanmar. Our objective was to get an authentic taste of the region that took into account our age (70’s) and curiosity. Sandy with his suggested destinations, activities in each and team of guides and providers delivered the goods wonderfully! The best things we got from our trip were valuable learning (history,cultural differences, etc) and a more comprehensive understanding of the economic and cultural dynamics of the region. Thank you Sandy. Just returned from 3 weeks in Vietnam, Cambodia, Thailand and Laos. Sandy is extremely knowledgeable about SE Custom designed travel with personal guides and drivers. Recommendations were right on. Seamless arrangements. Guides were all local and very knowledgeable and able to make us “feel” the culture of the country. First rate in every respect. Highest recommendation. We returned from our 2 week trip to Northern Thailand, Camobodia and Laos arranged by Sandy Ferguson and his team. We had initially scheduled the trip a year previously but due to scheduling conflicts had to postpone a year. That allowed us the time to really spend some quality time with Sandy to focus on how to optimize our experience in the 2 week period. His recommendations made a significant impact on the quality of the trip. We could have never have planned the trip without Sandy in having the outcome we experienced. Way beyond our expectations in respect to destinations, guides and our ability to connect personally with them added to the experience. The boutique properties were awesome and made a huge difference in comfort and experience. We typically make our own arrangements on many of our journeys to provide the freedom of exploring without any restrictions but in this case having Sandy guide us made the trip a home run. The people, countries, cultures and experiences were truly magnificent. We just returned from a two week trip to Northern Thailand, Laos, Siem Riep and Bangkok & vicinity planned by Sandy and his team. It was an amazing experience that including all very knowledgeable private guides and drivers and beautiful unique hotels. We especially liked the Mekong two day cruise to Luong Prabang , a city that was a highlight of our trip. Our tour guide grew up there and provided special experiences with family and friends that we will always remember. Also our tour guide at Angkor was wonderful – navigating the site so for the most part, we missed the tourist crowds. Bangkok was our least favorite – a day in town is all you need, though our hotel on the river was nice and unique, their attention to detail made all the difference. In Vietnam, Cambodia, and Laos, Sandy Ferguson planned extraordinary experiences! He did what other agents did not do: he listened carefully to what we wanted to see and planned a truly custom trip for us. He cautioned us about places that were crowded with tourists, and instead he sent us to lovely villages where people were planting vegetables, running fish farms, and weaving with river grasses. Those unique visits on dirt paths lined by simple homes (most without running water or electricity) were exactly what we requested. His guides in every spot were intelligent, informed, and enthusiastic about their histories. Sandy encouraged us to make a stop in Hue, which gave us the opportunity to see this historical city that was an elegant capitol city and that is being restored to its original beauty by UNESCO. Sandy’s guide helped us understand all the history of the country as well as the Buddhist philosophy as represented in the temples and in everyday life. Every hotel property was beautiful and well-located with stunning furnishing and welcoming staffs. He scheduled our stops around the cruising dates on the Mekong River so that we could see much rural life during three days, with fascinating side trips each morning and afternoon from our boat, the elegant Aqua Mekong. At Angkor Wat his guide paced each visit so we had enough time at each fabulous sight, seeing the very best temples at a relaxed pace, while avoiding times that mobs of tourists were present. Each day seemed better than the previous one and left us thinking it “couldn’t get better!” Sandy knows each city because he lived in the area for years–so he is invested in sharing the best and most fitting experiences for clients of all ages. We were careful during our search for an agent because we were investing a substantial sum in this trip. And he delivered everything he promised. Each arrangement he made for us–internal air flights, entrances to all sights, delicious lunch stops, and quiet rooms– was smooth and well-organized. We departed from the USA on Thanksgiving 2016 and spent 18 days without a single worry. Anyone who trusts Sandy with their travel plans will undoubtedly be thrilled with their experiences. We just completed a Laos/Thailand trip, our third Southeast Asia tour with Sandy. As always, the guides (almost like family), hotel selection (with detailed room selection) and flexible venues were excellent. Our recent trip to Southeast Asia, arranged by Sandy Ferguson, was spectacular. Everything about this trip more than met our expectations. I would say that it greatly surpassed our expectations. Neither of us had ever been to Asia although we have travelled extensively in South America and somewhat in Africa and Europe. We were in awe of the sights that we saw, the people that we met—especially our guides—and the food that we ate. I have been working to put some order to the thousands of pictures that we brought back and I’m only as far as the Mekong Delta, which is about only a week and a half into the trip. We were very impressed with our eleven flights that comprised the trip. Cathay Pacific was exceptional, so much better than the American airlines that we have travelled. Our Vietnam Airline, which we used for most of the internal flights, were all exceptional, as was Thai Airlines. We could not believe the level of service on even just an hour flight. In business class we always got linen placemats and napkins and some form of a regular meal. In the states, we would have had to bring our own bag of peanuts. Although the trip from JFK to Hanoi for long and exhausting, it was manageable. One point about the schedule that I’d like to make is that although we often landed in a new city after nightfall and dark, we could get a full night’s sleep before going out exploring early the next day. We both feel that we learned so much—primarily because of our guides’ expertise—that it was almost like taking a college course in the history, culture, architecture, traditions, religions, and cuisines of the places that we visited. We started in Hanoi with Ken, who did a great job of acclimating us to Southeast Asia. We both found what we learned about the “American War” from the North Vietnam perspective eye-opening. One of the highlights was visiting the bunker under the Metropole Hotel where Joan Baez took shelter during one of the bombings. All of the places that we visited were fascinating, including the Old Quarter—our cyclo ride was most memorable—the Ethnology Museum, the water puppets performance, which I would not have chosen on my own to attend but that turned out to be fascinating, and the Ho Chi Min Monument. One really special part of the trip that you arranged were the local lunches with the various guides. We have travelled with several private tour companies but none of them did the local lunches. What a great way to really experience a country/region like the locals. We loved having the Obama Combo at the very first place that Ken took us to. About the only suggestion I might have would be to put some comment into the itinerary about how it’s okay to try food at these local places. Every piece of information that we have gotten prior to these exotic adventure trips warns about eating local food. It took me a while to realize that no guide was going to suggest that we try food that he thought might make us ill. The seaplane ride to Halong Bay was very cool even though it was a cloudy day. We’ve never landed on water before. The Au Co cruise was exceptional, especially the people who took care of us on board. Speaking of the people that we met, both Greg and I continue to comment about how nice everyone was, how much they wanted us to like their country and culture and food, how hard they worked to make our experience so pleasurable and memorable. Our second guide, Ngoc, accomplished a truly impressive feat—he made us forget about the downpour during our first day in Hue. The weather was not great while we were in Central Vietnam but Ngoc helped us to maximize the time that we spent there, including our ride on the Perfume River to the Thien Mu Pagoda, the Citadel, the Forbidden City, and the Imperial Museum. Danang and Hoi An were both great too. We especially enjoyed Morning Glory, a local restaurant that Ngoc recommended. Our trip to My Son was very informative and got us ready for the Angkor Complex later in the trip. We also managed to see a Hindu dance/theatre performance that was very impressive especially since we saw it out in the jungle. One of the highlights of the entire trip, though, was our visit with Ngoc to the Zen Meditation Hose in Hue where we had a fantastic vegetarian lunch followed by a most tranquil meditation ceremony. Neither of us had ever experieinced such a session before. In addition, the house and grounds were beautiful. Ho Chi Min City was a very different experience because it was such a bustling metropolis. On our second day, we discussed with Henry about doing the Cu Chi Tunnels or the Mekong Delta. Since we had visited the caves in the Marble Mountain in Danang with Ngoc, Henry suggested the Mekong and we are very glad we took his advice. We got to visit quite a few small villages, traveling by boat and horse-drawn carriages. It was very informative and fun. Visiting Angkor Wat was really the genesis of this trip. I had wanted to see those ancient temples since I was young. It was right up there on my list with the Pyramids and Machu Picchu, so I was a bit concerned about my inflated expectations. No need for that. Our stay in Siem Reap was more than spectacular. I think the main reason for that was Ken Ya’s knowledge and experience. He knew when to go where for the three days that we were with him. His recommendation that we get up before dawn to experience the special Buddhist meditation ceremony at Phnom Krom. Your itinerary was definitely correct about its uniqueness. Greg and I are still commenting that Ken Ya’s suggestion about the direction to visit Angkor Wat made that site so great because we came in opposite the way all the crowds were coming. And the sunlight was perfect for picture-taking, which, of course, will make my job of sorting photos from Siem Reap so much more difficult! Other highlights form the Angkor Complex were enjoying drinks at sunset on the moat of Angkor Thom—Ken Ya really pours a gin and tonic!—and our tuk-tuk carriage ride out to Ta Prohm, Ta Nei, and Ta Ken our first morning in Siem Reap. After visiting Ta Nei, Ken Ya and our tuk-tuk driver arranged for a short break of local foods and beverages out in the jungle before heading on to another temple. We loved the longan berries that we had there and several other places. Every temple that we visited was different and beautiful in its own special way. I had no preconceived notions about what we would see in Luang Prabang and Chiang Mai. I had never heard of either city before I saw your itinerary. What great times we had in both places. All our guides were wonderful but Ek was a standout. He simply went far beyond the usual expectations. For example, on our excursion to the waterfall, he brought us some delicious flan that he had made. All the places we visited with him were interesting and his steady stream of information was very helpful and really gave us a sense of the culture and history of Laos. Obviously, dinner at his and Paan’s house and his family’s Baci ceremony were a once-in-a-lifetime experience as was our visit to the All Lao Elephant Camp at Ban Noun. I had expected a short ride on the elephants, but our 45-minute trek, including crossing in the river, was outstanding. Chiang Mai was exceptional as well. Just when I thought that I had seen enough temples, Nikki brought us up the mountain at sunset to Wat Pra Borommathat Doi Suthep and the next day to Wat Pra Singh the “Silver Temple” where we had a special blessing by the primary monk under a canopy of strings. Nikki also surprised us with a great trip on another horse-drawn carriage to Wiang Kum Kam on our way to the airport. Pablo did an excellent job of taking us to see the highlights in a whirlwind trip of Bangkok, including the Emerald Buddha Temple and the Grand Palace, a long tail boat ride on the Chayo Phraya River, the Reclining Buddha Temple, and our day-trip to Ayuthaya. When we got home, our friends asked us what was the highlight of the trip. We both said that the entire trip was the highlight! I would cite, though, that the people that we met were the real highlights. They made us feel welcome and a very real part of their culture and country. Accommodations were terrific. I especially liked the Pillars House in Chiang Mai. Our “butler” there, Toto, was exceptionally helpful. Its setting was spectacular, as was La Residence, Anantara, the Park Hyatt Siem Reap, and the Luang Say Residence. And having dinner at a window table in Lord Jim’s in the Mandarin Oriental overlooking the bustling river Bangkok was unbelievable. Starting our trip in the historical wing of the Metropol in Hanoi was a great way to begin the trip. The only accommodation that I had a less than stellar opinion was the Caravelle in Saigon. While we were upgraded to an apartment suite, I didn’t think the service nor the view from our window was up to the level of the other accommodations. Still, this was truly the trip of a lifetime. When you have traveled a lot, to say that a trip may be the most remarkable you have ever taken is a pretty big statement. 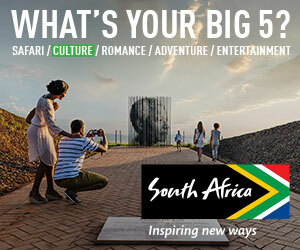 That four seasoned travelers, who have worked with many guides and specialists, agree wholeheartedly says even more. Wondrous aptly describes the countries we visited, but it was the high caliber planning and quality of the local hosts (guides), led by Sandy Ferguson and executed by the Asia Desk team, that resulted in 16 spectacular days. We highly endorse working with them. Sandy grew up in and has lived all over the region. It is in his blood. He is not just sitting back and rolling out tried and true itineraries. He wants to open up this part of the world to you in the most fulfilling way possible. This is clear from the outset. We had numerous phone and email exchanges from which Sandy well synthesized the specific trip goals of four adults. Several draft itineraries were crafted from these conversations to get to our final one. This was not just a schedule of stops; it yielded many “wow” experiences. The level of detail of the itinerary is exemplary and includes information about not only where you are going, but also photographs of each of the guides with their cell phone numbers and bios. There is a definite willingness and flexibility to change the itinerary at a moments notice depending on your desires or energy level on a particular day. This is feasible in large part because of the quality of the local hosts who are part of the Asia Desk extended family and not random subcontractors. They are enthusiastic, responsive, warm, unique, and special. They welcomed us into their homes and spotted many reasons to stop spontaneously for a must-see experience. They love what they do. We are so pleased with Sandy and Asia Desk that we already recommended them to friends and family for recent trips to Thailand and Vietnam. All returned raving about this team. We worked with Sandy to coordinate a trip to Vietnam for two weeks in late December through early January. The trip exceeded our exceptions. Everything was coordinated perfectly and unique to us. The guides were fantastic and they made the trip special. The last night riding around Saigon on a Vespa tour set up by Sandy was one of the highlights of our rip. We will definitely be going back to Southeast Asia and look forward to working with Sandy again. Sandy and his team arranged travel for 21 days beginning with Hanoi and finally, Saigon, Vietnam including private tours as well as travel plans and accommodations with weeks stay at island beach resort off Krabi Coast in Thailand and weekend in Bangkok. He also suggested going to Thailand after our Vietnam segment and discouraged us from visiting the beaches in the Philippines due to the potential for weather problems. Boy, he was “right on” as a typhoon crossed through the Philippines during our Vietnam visit so we appreciated his honesty! He recommended resort island we had not considered before- called the Pimalai in Koh Lanta Thailand — it was 85% of the experience of Aman resort at 1/3 the cost of Aman! (We told Sandy, we were Aman junkies ) he tried to offer a new place with the same high quality of experience! We loved it! Our three guides were very thorough- friendly- and extremely focused on making us happy! In hindsight, we probably would not have booked as many days with guides ( we were played out on history) and just needed more relaxation time! The guides took that feedback and helped us another way like making restaurant recommendations and also booked spa facilities! His guides love him and they do right by him! In route, Sandy also informed us about city and country wide changes in Thailand with the Kings passing– likely closure of some palaces and temples that would have been normal tours. We had been to Bangkok a number of times, so we delighted in going places that are NOT the typical first tour! We definitely like the more unique exclusive places to visit and to meet the people ! Sandy was extremely thorough and very organized! Very fast on all follow-up and extremely knowledgeable about the region! He grew up in Bangkok! I would highly recommend Sandy! If you want to visit Southeast Asia and don’t make you arrangements with Sandy Ferguson you are making a big mistake . Just returned from a most magical trip. We were cared for and informed at every part of our journey. Ready to do another. My initial desire to go to Thailand was to interact with elephants. The experience suggested by Sandy Ferguson, Patara, exceeded my high expectations! It was a wonderful day interacting with elephants and their mahouts. Sandy also suggested we begin our trip on Ko Pha Ngan, which turned out to be a great way to adjust to the time difference and get introduced to Thailand. Our guide in the North, Nickie, was the best! More than we could ever imagine. I have enjoyed many trips enhanced by wonderful guides (and some made a little less perfect by guides who were not up to par). The most amazing guide I have ever had, however, was one who took every request into consideration, and listened to conversation to learn more about us and what we wanted to experience. We were teamed with Le Thi Hang for the Northern portion of a trip to Viet Nam, a trip arranged by Sandy Ferguson and his team (AWESOME!) Hang actually stopped our driver in the middle of the road in Dien Bien Phu when she saw an engagement procession on a side street. We got out of the car, watched and followed as she explained the traditions to us. Some of the young men spoke with her and before we knew it, we were invited to the engagement party, and were honored guests! This is just one example of her willingness to go beyond the itinerary, and off of the schedule to make our trip more than we could ever imagine. Sandy planned a honeymoon trip for me and my bride to Cambodia, Laos and Thailand (southern islands and Bangkok) in February – March of 2016. The experience he crafted was perfect – perfect in concept, orchestration, imagination and detail. I say this as a veteran traveler – I speak french and spanish, have worked and lived in Paris and have traveled throughout Europe, south and central America and to Hong Kong. Sandy’s work was the best I’ve had yet, and his in-country guides are thoughtful, dedicated folk who add their own magical touches to the experience. It is clear that he is very close to them and their families and cares a great deal about them. It is also very clear that he worked closely with them to make our experience into the adventure we’d hoped for. I thought it might be helpful to describe a few of his guides that met us along our journey. Kheleur, our guide to Angkor Wat and Cambodia – welcoming, gentle, accommodating and masterful in his plans. Subject matter expert in the temples. We loved how he created seamless transitions between touring and our wild events (for example, candle-lit dinners on rural tropical estates, sunset cocktails on the water about Angkor Thom) as much as we loved the archeological tours, evening cruises and dinners themselves. The boat tour and the villa dinner merit special praise – he made them appear as if magically created. The midday respite to allow for physical training (and swimming and napping) was brilliant. Ek and Paan, our guides in Luang Prabang and the Laos countryside – warm, kind, absurdly welcoming. We were treated as family – I felt unworthy! They gave us love and generosity. Ek sparkles with goodwill and joie-de-vivre. He also seems to know every single person in town. When we through a wrench the plans he had made for us (we changed a lunch site and some afternoon touring) he cheerfully accommodated – and facilitated – our wishes as if it were nothing at all. Pablo, our guide in thailand and Bangkok – we loved Pablo. Enthusiastic, a careful listener, an eager and engaged teacher of Thai culture and history, a gentleman whose goodwill and blithe spirit are as radiant as his smile. I am sure he has brought hundreds to the same five temples, has taken the same longboat cruise every week for years, and could apply for permanent citizenship at the flower market. You would be unable to tell – at each stop of the white van, he would genuinely brighten as he shared our discovery of each new scene. Truly, the journey Sandy crafted for us was educational, exciting, restorative. Cannot recommend highly enough. We had an incredible experience visiting Northern Thailand and an additional day in Bangkok. In Chiang Mai and Chiang Rai our tour guide, Nikki, brought us to sights and restaurants we would never have dared to venture to on our own. Her enthusiasm and love for country was evident throughout our visit. Nikki was attentive, could almost read our minds, and made our trip most memorable. From taking us to tiny specialty restaurants to arranging massages for us and even getting our laundry done after a day with the elephants, Nikki certainly contributed to our enjoyment of northern Thailand. We also enjoyed our brief visit to Bangkok and learned a great deal from our guide Pablo. Asia Desk did an outstanding job putting together this trip for us. Sandy’s great customer service and expertise made our SE Asia trip an extremely positive experience. We highly recommend him! From the beginning, Sandy Ferguson really listened to what we said we wanted for our multi-generational trip – and made terrific suggestions to complement our must-dos. Here’s one of the things I liked best: When you’re traveling with 12 people, age 10 to 78, and are extremely jet-lagged (13-hour time difference for most of our trip), it’s helpful to have someone who has listened what what is truly important, and has designed plans that accommodate everything from allergies to injuries to complete exhaustion. Here’s the other thing I loved: The planning was flawless. There were no problems with internal flights, errant guides or drivers, hotel reservations that somehow disappeared. All of the arrangements worked like clockwork, which (having had a very different experience on other trips) was deeply appreciated. The guides were, for the most part, excellent. While I wasn’t wild about our guide for the Cambodia part of the trip (he was okay, but not great), our guides in Thailand and Laos were memorable and added immeasurably to the overall experience. Sandy and his team know their stuff. If you’re planning a trip to Southeast Asia, you couldn’t ask for anyone better! We would highly recommend him. Our family had a fantastic two weeks in Thailand, Cambodia and Laos thanks to Sandy. We would highly recommend him. We are just back from a wonderful two weeks in Vietnam, all arranged by Sandy Ferguson. It was everything we hoped for and more. My husband and I enjoyed the planning process, picking places to go, amount of time spent in each, and discussing hotel alternatives. Sandy’s recommendations were perfect. Our guides were amazing and made great restaurant suggestions as well. For a trip perfect in every detail, call Sandy! We recently returned from an 11 day trip through Thailand which was developed and executed for us by Sandy Ferguson at Asia Desk. From our initial email and phone inquiries and through the process of planning of the itinerary, we found Sandy to be very friendly, open and engaging and with a wealth of information and advice that ultimately translated into a very memorable trip. Our initial stop in Bangkok was coordinated for me along with a conference which I was there to attend and providing local activities for my wife and daughter. We especially appreciated Sandy’s early on advice to ditch the conference hotel and to book our stay at the Oriental – just incredible and well worth the small inconvenience in travel. The following week we traveled to the north to Chiang Mai and Chiang Rai. Our local guides in each city graciously and enthusiastically managed every aspect of our itinerary while in Thailand, from our airport meetings and departures, through the planned tours and transportation to local venues and advice and various recommendations. We would highly recommend Sandy and Asia Desk and hope to have the opportunity to engage their services again with future travel in the region. Sandy and his team are fabulous in organizing and executing a trip that is literally without a flaw. The guides are extremely knowledgeable, most accommodating and a pleasure to be with. The whole experience was outstanding from beginning to end. Most highly recommend. An extraordinary trip that we will never forget. My wife and I engaged Sandy to arrange a trip for us to Hanoi, Ha Long Bay, Hue, Hoi An, Saigon, Can Tho, and Angkor Wat, for two weeks in November 2015. We had an extraordinary trip that we will never forget. It all revolved around our hosts at each destination, selected by Sandy’s team, who were unfailingly helpful, kind, and entertaining companions, able to adjust to our interests and lead us to experiences we would never have found on our own. Beyond that, the planning was impeccable and the accommodations excellent (and, in the case of the Metropole in Hanoi, in a class of their own). My wife and I relied on Sandy to plan a two week trip to Thailand, Cambodia, and Laos for October 2015 and it is hard to describe how great an experience it was. We had never worked with a travel agent before and quite frankly weren’t sure it would be worth it or be our style. But, Sandy planned a trip we never would have been able to put together on our own, but yet felt like exactly what we wanted. For example, we asked for him to arrange for us to tour some of the major sites, such as Angkor and the Grand Palace in Bangkok, with academics. He arranged for true leaders in their field to spend days with us discussing the sites and the surrounding communities. Their love of and connection with these places made the visits so much more rich. Moreover, the local hosts know exactly what you should see and how to avoid being there when everyone else is trying to see the same site. There were numerous times at Angkor when it was just us and our guides. Our host in Chiang Mai took us to Doi Suthep just as the sun was setting and everyone else was leaving, which turns out is the exact right moment to listen to the monks begin their evening prayers and watch the temple turn on the lights, which sparkle off the pagoda. Because the hosts live in the area full time, they also greatly add to the experience. They can take you to their favorite artisans, markets, and food vendors so that you actually engage with the community and get a sense of what “real” life is like. In Laos, a highlight was cooking in our host’s home and dining with her extended family, which was just wonderful (and delicious!). I won’t describe it as a trip of a lifetime, but that’s only because we really hope to work with Sandy again. We just returned back from our most memorable vacation to South East Asia – Sandy & team: THANK YOU for planning our perfect journey! We visited Chiang Mai, Luang Prabang, Hanoi, Halong Bay, Saigon, Siem Reap and Bangkok — so much to see but we were happy to touch so many beautiful and different cities and cannot say enough good things about each place. Everything was flawless – the hotel choices, our incredible guides, the exceptional levels of service, and the amazing places we visited – we truly would not have changed a thing. We absolutely loved the unique and local touch in each city. Our guides treated us not like tourists but like family. We only wish we had more time to continue exploring this exceptional part of the world with Sandy’s guidance. It was the trip of a lifetime! Sandy and his team at Asia Desk arranged a trip for my wife, son and myself to Vietnam and Cambodia. Unfortunately we had a 12-day time restriction so what we could do and where we could go was limited. That said, what they arranged surpassed our wildest expectations. From Hanoi and Halong Bay in the north to Hoi An and Hue in central Vietnam, to Saigon and the Mekong Delta in the south, the trip was first class. The accommodations were superb, the food fantastic and the cultural experiences more than we’d hoped for. None of this would have been possible without our guides. Simply said, they are the best. Their knowledge, willingness to taylor to our needs and genuine love of what they do is first class. Just when we thought it couldn’t get any better, we moved on to Cambodia and Siem Reap and it did! Once again, to Sandy and his entire team, a heartfelt Thank You. We will return to visit what we missed. Vietnam May 2015 — Wendy, Sandy’s done it right! Our trip to Vietnam was more than we could have possibly imagined. And all due to Sandy’s hosted approach to travel. Having a host (guide) escorting us around and explaining things not only “showed us the sights” but also gave us insight through personal perspective in the country’s way of life. Big groups don’t always work for us, so we found this one-on-one approach that Sandy put together for us was exactly what we needed. We are already thinking of how we can use him again. Thanks, Sandy, we loved it. George and Jill. Sandy planned our honeymoon of a lifetime! We couldn’t have asked for a better travel expert to work with, and every detail of our trip was perfect. Sandy was knowledgable yet flexible during the planning process, and he worked with us to fit our itinerary to our budget and interests. He made both the planning and travel process stress-free. Before leaving for Thailand and Cambodia, Sandy’s detailed itineraries and guides provided us with all of the information we would need while on our stay, allaying any worries about traveling to the other side of the world. Upon arriving in Asia, not one stone was left unturned, and every aspect of the trip not only met, but exceeded our expectations. Our guides in each location were all amazing. They were friendly, knowledgable, flexible, and professional, and they really made the experience something truly unique. The hotels that Sandy put us up in were all gorgeous with top quality staff and customer service. Further, Sandy had let each hotel know that we were on our honeymoon which made us feel extra special! Our honeymoon was the trip of a lifetime, and it wouldn’t have been the same without Sandy being involved in the process. We would recommend him to anyone planning a trip to Southeast Asia and hope to go back someday and use Sandy again! I have to say that we had the most amazing trip ever to Thailand, Vietnam and Cambodia. The owner, Sandy, has lived in Thailand and is married to a Vietnamese lady. Sandy speaks fluent Thai and English. Talking to him is like having a history lesson every time you have a conversation. We were gone for 3 1/2 weeks to Thailand, Vietnam and Cambodia. Sandy and his staff developed the most amazing itinerary complete with guides, hotels, transfers, planes, daily activities, and more. Sandy spends time in these countries every year developing relationships and seeking out the best places for his guests. These relationships mean the best possible trip for you. And believe me, they look after you. We were surprised and pleased at the level of detail that went into organizing our trip. We were so spoiled on this trip, saw so much, learned so much. It was truly an amazing experience. Thank you Sandy, Christine, Jackson, and anyone else that was involved. Khob Kun Na Ka for all that you and your staff did to make this a truly amazing and remarkable experience. We would definitely recommend you and your company to anyone wanting to travel to Southeast Asia. We have just returned from a 3-week trip to Vietnam, Cambodia and Laos. The holiday was perfectly organized and it was full of special and unexpected moments. The hosts were knowledgeable, informative and attentive. Not only did they ensure that we saw all the important sights, they also took us to places and events that were obviously not on the tourist trail. This added enormously to our experience. Thank you Asia Desk for a magical vacation. We loved our two-week trip! It is hard to describe how much we LOVED our two-week trip to Thailand and Cambodia in February 2015, facilitated by Sandy and his team! From our initial planning call to the time we departed Thailand for home, everything was extremely well-organized and pleasant. As someone with a busy schedule, it was so nice to know we had a reliable and skilled team taking care of our itinerary and trip details. With Sandy’s expertise, we felt like we were really able to make the most out of a two-week window in seeing beautiful Thailand and Cambodia. While all of the locations/activities and hotel properties were amazing in their own right, the personalized attention and service from Sandy’s local guides was really what impressed us the most. Each went above and beyond to make sure we had a special experience and a first-hand view of their culture–whether it was taking us down for a walk in a rice paddy in Northern Thailand, witnessing a special temple ceremony, or helping us order some delicious Thai food at the best local restaurants! It is apparent that they take tremendous pride in what they do and want to give clients a once-in-a-lifetime experience. All in all, we couldn’t have asked for a better trip–we will hopefully be back in contact with Sandy in the future to plan a trip to Vietnam which is also on our list of places to see! My wife and I — plus a friend — completed our second trip to Southeast Asia in the past six years using Asia Desk and were very happy with Sandy’s arrangements and attention to detail. In each case, we spent almost a month — the most recent trip took us to Northern Thailand, Myanmar, Hanoi and Siem Reap — and wished we had spent longer. His guides are terrific, knowledgeable and — important to us — happy to talk about their backgrounds, life, country and social issues. Even more important is Sandy’s ability to react and fix things such as he had to do in Myanmar when one of the airlines we were using stopped flying for several days. He and his staff were able to re-book us without any significant change in our plans. We have also recommended him to friends who have used him and were very satisfied as well. We traveled to Thailand and Cambodia for our honeymoon for 3 weeks in January 2015. It was a trip of a lifetime made possible by Sandy and his team at Asia Desk! We chose Sandy because of his extensive experience and his own personal passion for this area of the world. We knew we would have insights and service that would allow us to really be immersed in the culture and also enjoy some of the luxuries we were looking for on our honeymoon! Our trip was impeccably planned from the beginning and after all our wedding planning, it was nice to rely on Asia Desk to take care of all the details. It was convenience and luxury all the way and we never worried about any of the logistics. From the moment we landed we were worry-free and were able to truly enjoy our trip with all the incredible food, people, history and activities. Our 3 weeks were planned perfectly, allowing us to enjoy busy days in the city of Chiang Mai and Bangkok and a completely unplugged week on the magnificent beach at Pimalai. Siem Reap was much more touristy than we thought but still worth every minute of stepping back into ancient history with all the beautiful ruins. One of our favorite things was going to the Patara Elephant Farm in Chiang Mai, and spending an entire day with our own elephant. Incredible experience! Our hosts were a very important part of our experience in each city. They were very informed, professional and flexible, allowing us to make adjustments to our itinerary along the way. We loved getting to know them and appreciated them for not just being tour guides but truly hosts of their home towns. This is a trip we will never forget! We would highly recommend Sandy and Asia Desk to our friends and family! My husband and I just returned from our first trip to SE Asia. In 21 days we went to: Chiang Mai, Chiang Rai, Chiang Khong, in Thailand; a lodge along the Mekong River one night on the way to Luang Prabang, Laos; Hanoi and Ha Long Bay, Vietnam; Siem Reap, Cambodia; Bangkok, Thailand. The entire trip was expertly planned by Sandy and his team. I just can’t say enough good things about the service he provided starting a year out, helping us to decide which cities and countries to visit and how many days we needed to see what we wanted to see. In order not to miss the Chiang Mai night market, he told us which day to leave the US, (Worth it! We wouldn’t have known to do that). I remember one decision point where Sandy convinced me we should take a two-night Ha Long Bay cruise instead of the one-night one and I’m so glad I trusted him! Everything he recommended we do was well worth our time. In fact, with a private guide and driver, it’s possible to be very efficient and see quite a lot in a few short days without getting overly tired. Each guide was local to the area and very knowledgeable. Because we had a driver at each location as well, our guides were free to talk to us while we were driven around. Without exception, everything went smoothly, from guides, to hotels, to flights between the countries. We had flexibility to change our daily itineraries which was wonderful. Also, we did Sandy’s special experience, sunrise at Phnom Krom Pagoda in Siem Reap, and it was amazing! I give Sandy and Asia Desk 5 stars for sure! Sandy Ferguson helped my husband and I take the 2 weeks during the Christmas Holidays and turn them in to the trip of a lifetime. We went to Thailand and Cambodia. Hotel selection, guides and sites toured were just what we were looking for. We knew very little about the area yet he took our two weeks and helped us pick interesting places and had expert guides and drivers make viewing everything smooth and interesting. I would highly recommend using his services. Sandy and his team organized a two week trip in Vietnam in December, 2014, for myself and two adult children. He did a great job, discussing options with us and setting up every detail. He knows the territory, and his guides in country were relaxed, fun to talk to, but also totally on top of everything. Even when weather forced a cancellation of our second night on Halong Bay and an emergency return to port, Sandy’s crew was there at the dock to meet us, ready with new reservations and arrangements. This was the trip of a lifetime. We can’t thank Sandy and the Asia Desk enough for the amazing hosts and drivers as well as all his assistance with our complicated itinerary….South East Asia is a must to visit! With Sandy planning the trip my wife and I took, we were able to stay comfortably in luxurious hotels while exploring the heart all of Thailand. From Ko Samui, Bangkok, Chiang Rai, Chiang Mai, and everywhere in between we were treated very well, slept very well, and fed very well. The local guides were very friendly and knowledgeable throughout the entire trip, with expertise ranging from history to the best local cuisine. I would recommend Sandy to anyone who wants to visit the very best that Asia has to offer. I have never posted a review, but in the case of Sandy Ferguson of Asia Desk, it feels like a must. Sandy arranged a spectacular Vietnam/Cambodia vacation for my husband and me. The trip was exquisitely planned and executed down to the tiniest of details. His guides are superb and local so they are able to make suggestions that don’t make you feel like a tourist. Can’t recommend Asia Desk highly enough! Flawless trip, everything went very smoothly. In countries which were so exotic with so many things to see, Sandy (and his outstanding guides on the land) were able to help us see all of the can’t-miss things and still help us do what we wanted to do. We have used Asia Desk with Sandy Ferguson for Thailand and Vietnam. Well organized but not too rigid, venues that entail great hotels, (often with specific room selections), and gracious, keenly knowledgeable energetic English-speaking guides. Their Southeast Asian smile is forever etched in my mind. I have used Sandy twice. The first trip was with my adult daughter to Laos, Vietnam, and Cambodia. He listened to what I wanted, then offered great suggestions. His guides took great care of us, and we even went into one of their homes for a neighborhood blessing. The second trip several years later was with a girlfriend visiting Thailand. We both were very pleased. Hotels were awesome, great value for the money. If I go back to Asia I wouldn’t hesitate at all using his services. Only wish he did more countries, because it’s tough to find such a great agent.